The RAM 1500 truck has been known as a workhorse for decades. It’s been able to get the job done without complaint and pack a punch while doing so thanks to its HEMI engine. 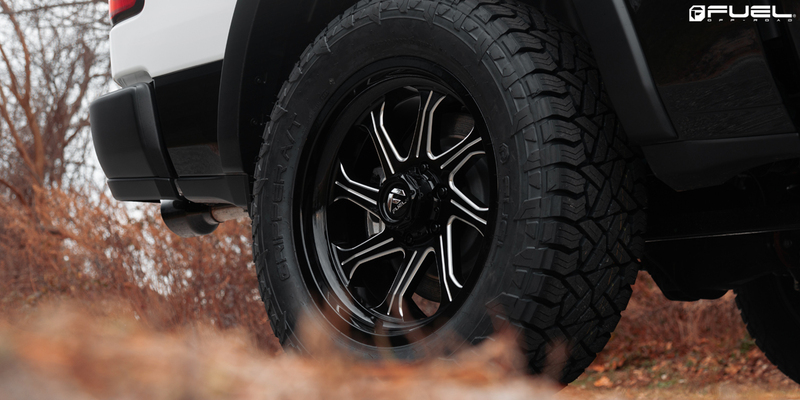 The RAM Rebel, on the other hand, it a whole new off-road beast that’s ready to get down and dirty. This one sporting a new set of Fuel Wheels has all the goodies you could ask for to make an impression. 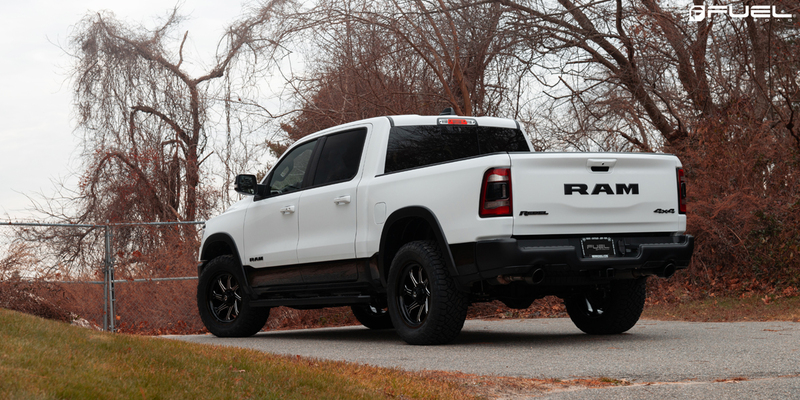 There’s a lot to like about the new RAM Rebel starting with its dedication to off-road performance. 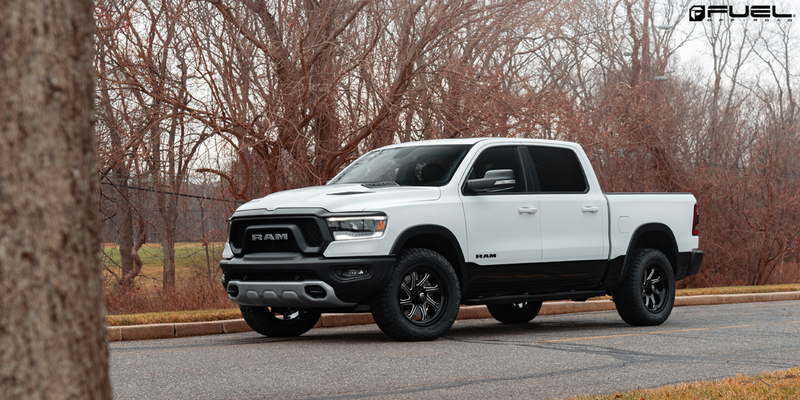 The RAM 1500 is used at the starting point with its 395-horsepower 5.7-liter HEMI V-8 engine driving the Fuel Wheels. There’s more than enough power to get up and go anywhere in a hurry or churn through the mud in sticky situations. 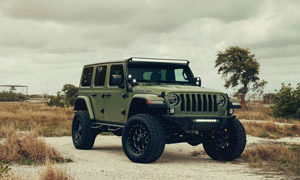 Elsewhere, there’s a new electronic locking rear differential that offers better traction and power delivery, new tow hooks, and an upgraded suspension that makes room for the 33-inch tires – or, in this case, the new Fuel Wheels. The owner also decided to add in a new window tint to match the new Black badging, bumper, grille, and trim pieces. 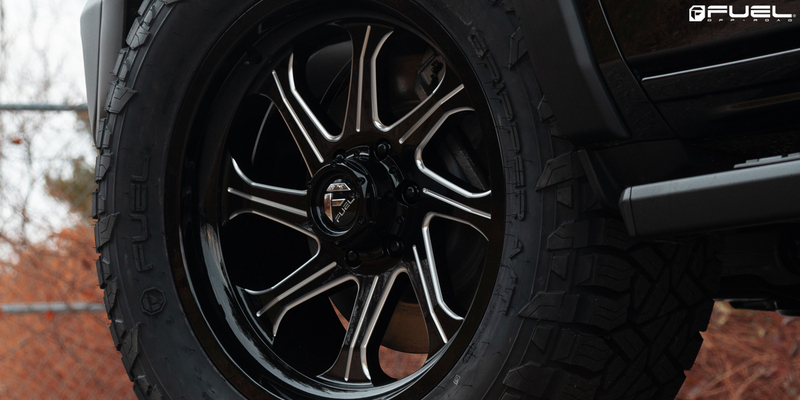 This RAM Rebel was also given a more aggressive touch in the form of new Fuel Seeker – D676 rims. 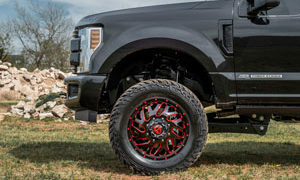 These new Fuel Wheels measure 20 x 9.0 at the front and rear, and feature a directional eight-spoke design. 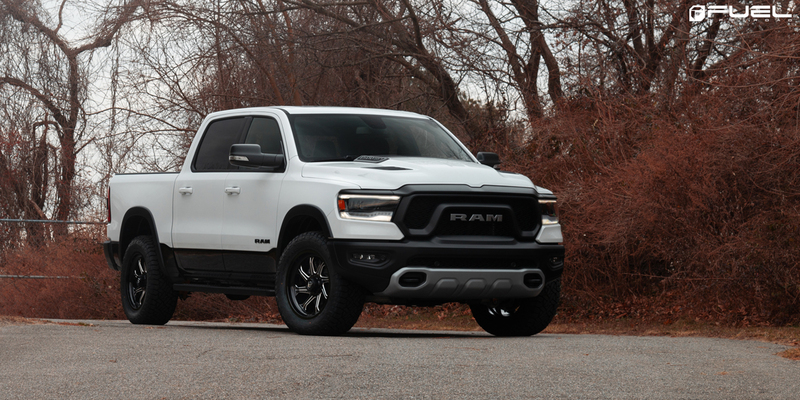 The new Fuel Seeker – D676s sport a Gloss Black and Milled finish that matches the color scheme of the RAM Rebel’s body well. 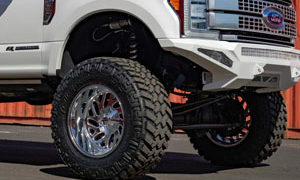 A new set of Fuel Gripper A/T tires measure 305/55/20 and provide more than enough traction over any terrain. This RAM Rebel isn’t just good looking on the pavement thanks to a new set of Fuel Seeker – D676 wheels, but it’s right at home on the trails.